The Copyright Ordinance currently in force in Hong Kong has come into effect since June 1997, which aimed to maintain a balance between the rights of copyright owners for adequate payment for the use of their works, and the rights of society as a whole to have access to ideas and information. In the fight against the physical and internet piracy, HKRIA, in collaboration with IFPI Asian Regional Office and HK Customs & Excise Department, takes anti-piracy actions in order to protect the interests, creativity and efforts of the copyright owners as well as the rights of using Intellectual Property. Click here to view HKRIA announcement. Young people today are now accessing more music, film and TV online than ever before. While this has huge advantages it also raises important security and legal issues. It can leave your children, as well as your home or school computer - and your personal details and accounts - vulnerable. 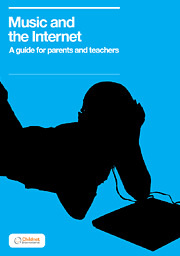 Childnet International, a leading charity that works to make the internet a safe place for children, has produced a new guide (international reference version) which provides useful tips for parents and teachers and aims to help them get to grips with the do's and don'ts of downloading entertainment content. Scroll through the guide to ensure that the young people in your lives enjoy music, film and TV shows while staying safe, secure and legal at home, at school and on the go. Click here to view more information on Childnet International.